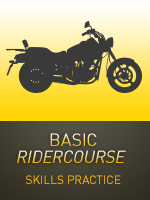 ​Similar to BRC2 - License Waiver RiderCourse, but consists of only the riding exercises. 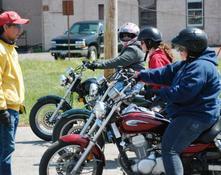 It is a perfect way to reinforce basic skills on one's personal motorcycle. Passengers are permitted with a licensed operator on a personal motorcycle. The Basic Rider Course 2 (BRC2) was developed by the Motorcycle Safety Foundation as a skills-polishing course for riders with at least One Year of riding experience. The workshop consists of One day of instruction taught by MSF certified instructors.